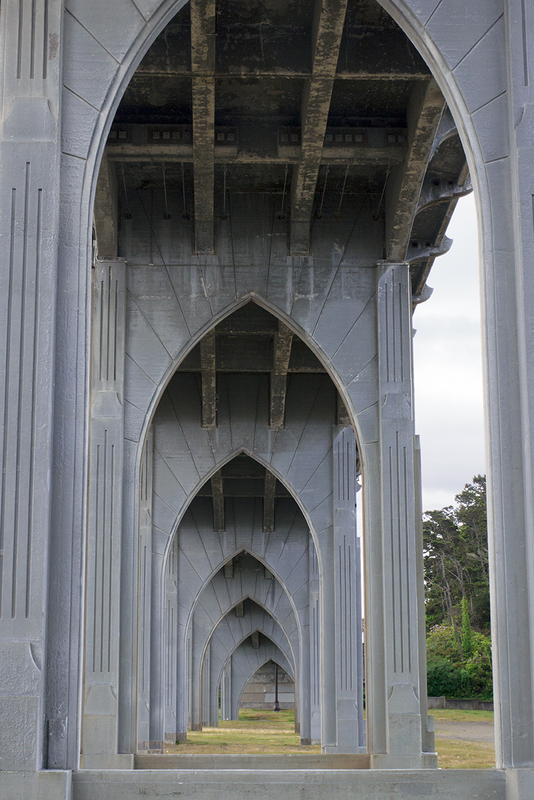 The Yaquina Bay Bridge in Newport, OR is photographed on a daily basis. With so many images of this beautiful bridge, I’ve never seen underneath. I was not disappointed. Beautiful…. like an arches inside a cloister. What a gorgeous structure! The lines are fantastic! This would look good in monochrome.